Perfect pairings from the other side of the equation. I am such a big fan of Soave Classico. I think it’s one of the most versatile white wines out there. It definitely works with seafood, and I find richer versions also pair well with chicken and light pork dishes. This is also one of those grapes that can please a wide range of palates. With this in mind, I brought a bottle of Soave Classico to share with friends on a Memorial Day weekend away. 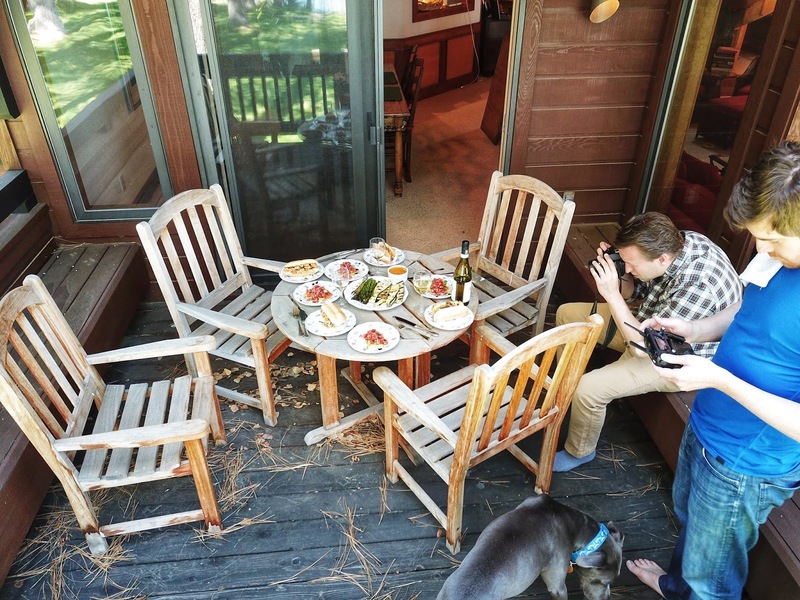 Our friends Lucy and Drew are among our favorite people to eat and drink with. They share our love of going all-out in prepping a meal and pouring delicious things to pair with it. Strike that. Drew by far exceeds me in the decadent lengths he’ll go to in making a feast. It’s so fun when all get to cook together! Greg’s Cheddar and Green Onion Smashed Potatoes, and Roasted Corn and Tomato Salad to complete the menu. Also, be sure to check out Lucy’s website. 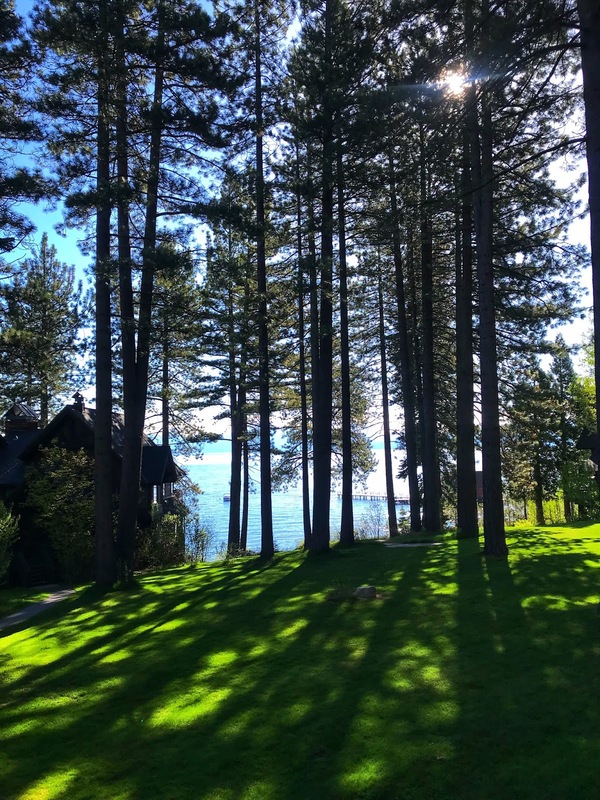 On occasion, these most-epicurean of friends invite a group of us to join them in Tahoe for a long weekend at what I’ve started to think of as the “Culinary Cabin.” What ensues are days of non-stop indulgence. We all take turns cooking and every meal is a fabulous feast. You can bet that wine flows freely. I decided to plan one of our lunches around a bottle Soave Classico from Inama on our most recent trip. Soave, located in the Veneto in north-eastern Italy, is one of those wine regions that earned itself a bad rap a while back and it’s still trying repair back its rep. However, there are quite a few quality conscious producers out there making excellent versions that won’t break the bank. Several of these producers have also cleaned up the game in recent decades, so if you’re familiar with old school Soave, it’s worth exploring it again. I’ll admit, finding the good stuff can seem a little confusing. Dry Soave is broken down into four different appellations: Soave Classico DOC, Soave Colli Scaligeri DOC, Soave DOC, and Soave Superiore DOCG described above. There are also sparkling and dessert wines made. I’ve read that there might be moves to streamline the rather confusing system, but this is how it stands for now. Often when you see DOCG on Italian wines, it’s a helpful indicator of higher quality. There are exceptions, however, and this is one of them. 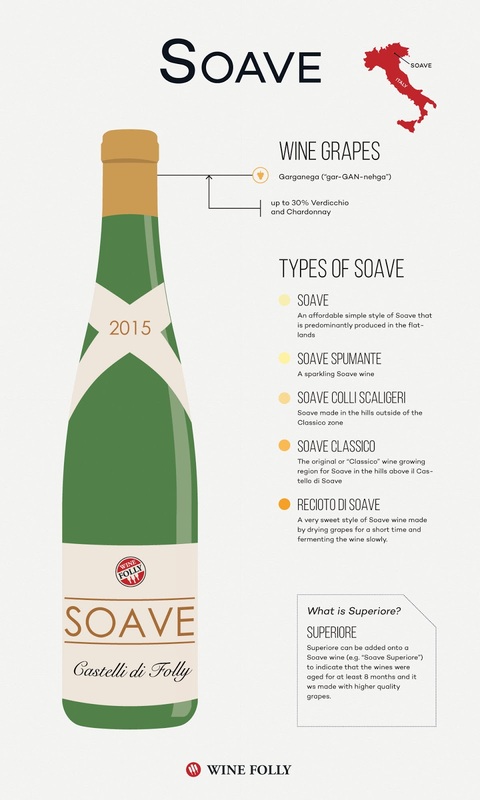 The DOCG rules for Soave Superiore were made up in such a confusing way, with pretty lax permitted yields to boot, that some of the best producers like Inama (the producer of today’s wine) and Pieropan have opted out of using the designation altogether. 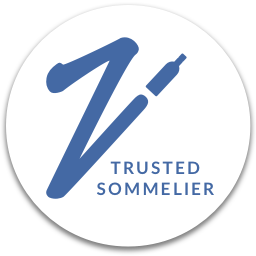 Another well-known producer, Anselmi, skips the whole system and releases their wines under the IGT designation. Bottom line, without knowing anything else about a producer, I’d say you’re better off concentrating on the Classico zone. Thanks to ilsoave.com via Wine Folly for this map. 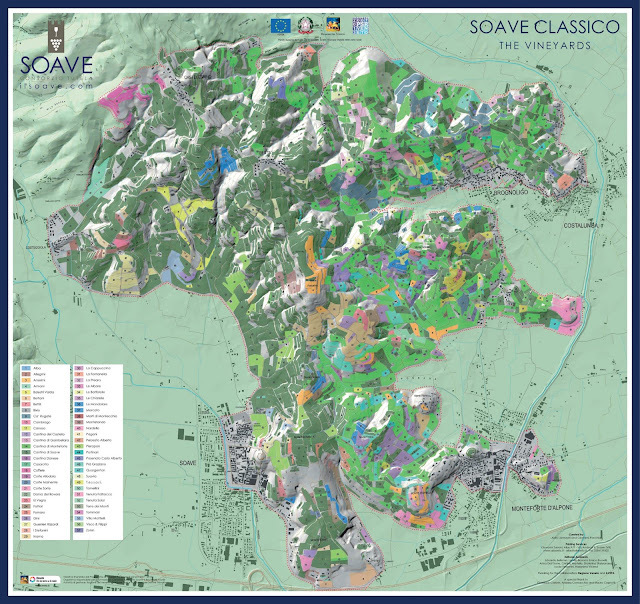 The Classico region was delimited in 1927 and is generally considered to be the source of the best Soave wines. The area consist of mostly hillside vineyards around the communes of Soave and Monteforte d'Alpone. Closer to Soave there is a high percentage of limestone, which retains heat. When combined with sunny afternoons, the wines from this section tend to be fruitier and fuller. On the eastern side near Monteforte d'Alpone, on the other hand, there are more volcanic soils, which produce steelier, more mineral-driven wines. I happened to find this video of Stefano Inama describing the Classico region. The star grape of Soave is Garganega, which must make up at least 70% of the wine. Nowadays, Trebbiano di Soave (Verdicchio) and/or Chardonnay can make up to 30% of the blend. Trebbiano di Soave is unrelated to other, often-mediocre, grapes that share the name of Trebbiano other than Trebbiano di Lugana, which is also Verdicchio. Garganega will often have notes of ripe citrus, almonds, as well as rounder notes of fleshier fruits like melon or peach that can approach a tropical or honeyed quality with hints of spice. One of the things I love about this grape is that it has both freshness and body. Oz Clarke describes it as having “both delicacy and structure, finesse and just enough weight.” Mineral-driven versions can also be quite steely. To me, Garganega’s combination of acidity and weight that makes it so versatile when it comes to matching it with food. I brought along the Inama Soave Classico Vin Soave 2015 on our weekend away in the Culinary Cabin. The Inama Family has been making wine for over 40 years and are now in their third generation. Giuseppe Inama founded the estate in the 60’s and acquired a total of 74 acres, largely by taking advantage of a economic downturn in the region to buy up excellent parcels . His son Stefano, assumed control of winemaking in 1992. Prior to this point, the estate predominantly sold the wines in bulk to other wineries that would use them in the bland Soave blends of the time. Stefano had the vision to take the wines to the high level of quality they’re now known for. The next generation–Matteo, Alessio, and Luca Inama–have also joined the company. Their vineyard holdings are predominantly on the Monte Foscarino in the heart of the Classico zone. Their style is on the richer end of the Soave spectrum. They allow the grapes to ripen more than most producers, creating a rounder expression of Soave. At the same time they “try to preserve the character of the fruit by minimizing intervention,” as Stefano Inama mentioned in a 2015 article for Wine-Searcher.com. The grapes are also farmed organically, although they don’t specifically advertise it. Greg, Drew, and I opened up the bottle a little before lunch one day. The Vin Soave is Inama’s entry level bottling and I think it has excellent QPR. We picked up notes of sweet, golden apples, lemon and stones with that trademark rounded mouthfeel. Greg called it “creamy lemon rocks”–sure, why not. There were also lots of herbs, light white flowers, and buttery notes. The acidity here is medium, which makes sense with the ripeness levels Inama tends to use, but it's holds up the round body well. This would be a great option when you need to please both Chardonnay lovers and haters at the same time. It has the creamy texture of New World Chardonnay that has been through malo, but without oakiness and with herbs to add to interest. I was already familiar with this wine and was pretty sure it would match up well with shellfish, so we’d purchased crayfish in advance. We decided to go with simple buttery, crayfish rolls to match this, but I spiked it up with lemon juice and crispy sage and green onions to play to the herb notes in the wine. Greg came up with the idea of browning the butter a bit since it seemed like both the wine and crayfish could handle these toasty notes. Excellent idea. Shopping options are limited around Lake Tahoe, but we’d found a store selling a high-quality frozen crayfish that had been pre-cooked. While fresh seafood is always preferred, this was a really great alternative and the upshot was that our cooking time was super quick. Fresh crayfish might just require a little bit more time, or feel free to swap in shrimp, lobster, scallops, etc. While I prepped the crayfish, Greg warmed sourdough buns on the grill until they were lightly toasted. Meanwhile, Drew made a simple salad with avocado, onions, tomatoes, and aged balsamic vinegar. We also had leftover grilled veggies from dinner the night before as a side as well. We used quite a bit of butter to poach the crayfish; trust me, you’ll want it! Serve the extra as sauce on the side to spoon over your rolls and to drizzle on any veggies. It was a delicious combo! The browned butter and the sweet shellfish were heavenly with this round Soave Classico. Crispy sage always takes things to the next level in my book, but here it also really brought out the herb notes in the wine, especially when combined with the green onions. 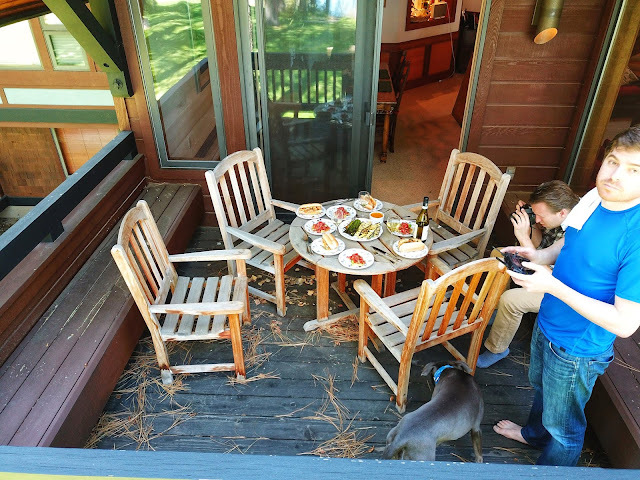 We devoured these rolls with lots and lots of butter drizzled on top and enjoyed it all al fresco while sipping our wine with a beautiful view of the lake. 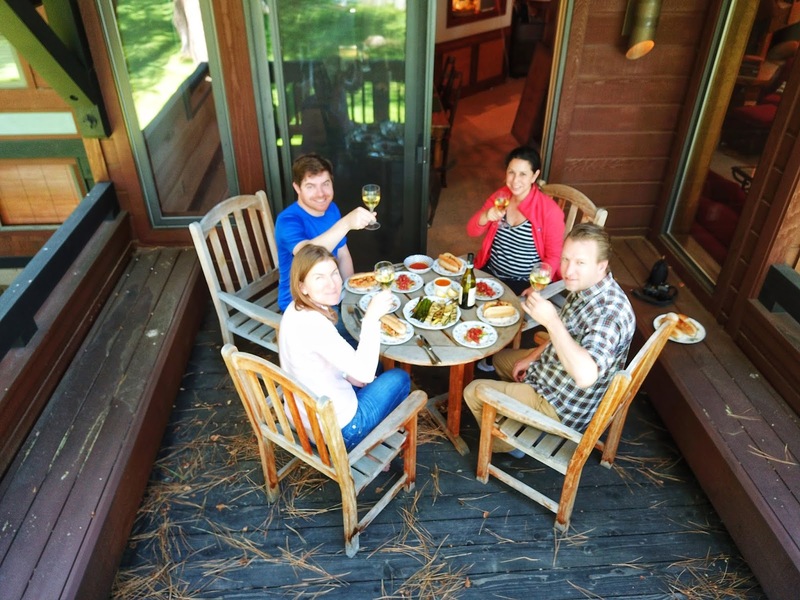 Stay tuned because next week we’ll have more tasty adventures from the Culinary Cabin! stainless steel for about 8 months. I bought this wine on Wine.com which currently has the 2016 for about $16. At that price this is a House Wine and an Overachiever. The producer recommends this wine with risotto, white fish, raw fish, and salads. I think it could also stand up to light chicken dishes and it recommends itself easily to creamy textures. If you’re looking for other wines to match here, look for white wines that have both acidity and body. Herbal notes are definitely welcome additions as well. Chardonnay with light or no oak works here too. 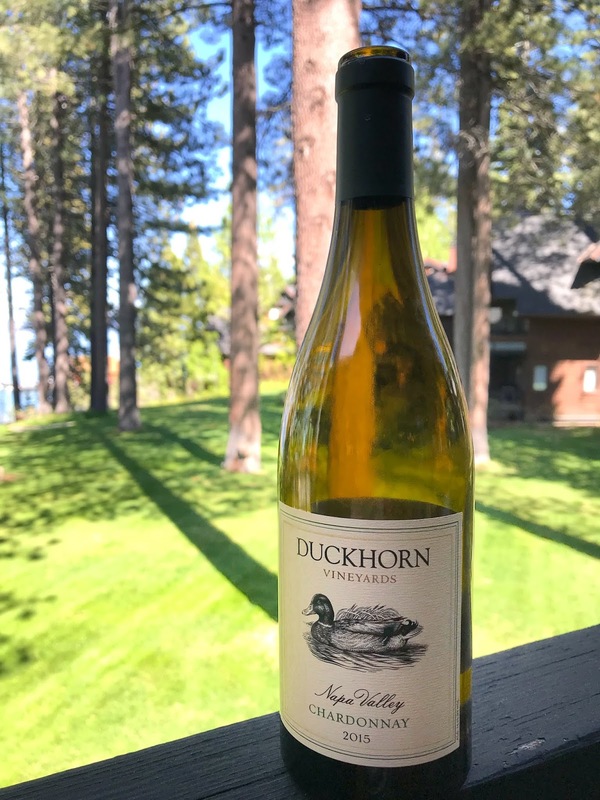 In fact, we also had a Duckhorn Chard with this and while the Soave worked better with the herbal components, it was a good match. Bordeaux Blanc, rounder Albariños, and other Italian whites with body could all be really great matches. As always, please share your matches in the comments. I love to hear from you! Cooking time was maybe 20 minutes. 1. Melt butter in a medium saucepan over medium-high heat. Once the butter is melted and foaming, begin to occasionally swirl the pot to keep the butter moving. When it’s beginning to brown, add in the sage leaves. Let the sage crisp in the butter for a few seconds then scoop out with a slotted spoon and transfer to a separate bowl and sprinkle with salt and set aside. 2. The butter should be moderately browned at this point. Turn down the heat to medium/medium-low and add the the crayfish and the green onions. Season with salt and pepper. Poach the crayfish in the butter mixture until warmed through. Keep on low heat until ready to serve. 4. Once your ready to serve, remove the saucepan with the crayfish from heat and swirl in the lemon juice and lemon zest. Taste and adjust seasoning as needed. 5. Spoon the crayfish mixture onto the warm rolls and drizzle with some of the butter sauce. Sprinkle the crispy sage leaves on top of the rolls. Serve with additional butter sauce on the side. I'm super excited to say that Greg and I are planning a trip to Italy in the fall and we're very much hoping to make it to the Veneto! Would love to hear your recs! This month the Italian Food, Wine, and Travel (#ItalianFWT) group is exploring Soave this month. Be sure to check out the rest of the great pairing ideas from the rest of the crew. Late breaking BTS shots! Drew recently got a drone and was experimenting with it throughout the trip. Here are a few pics he took with it while Greg shot the food and as we started our lunch. 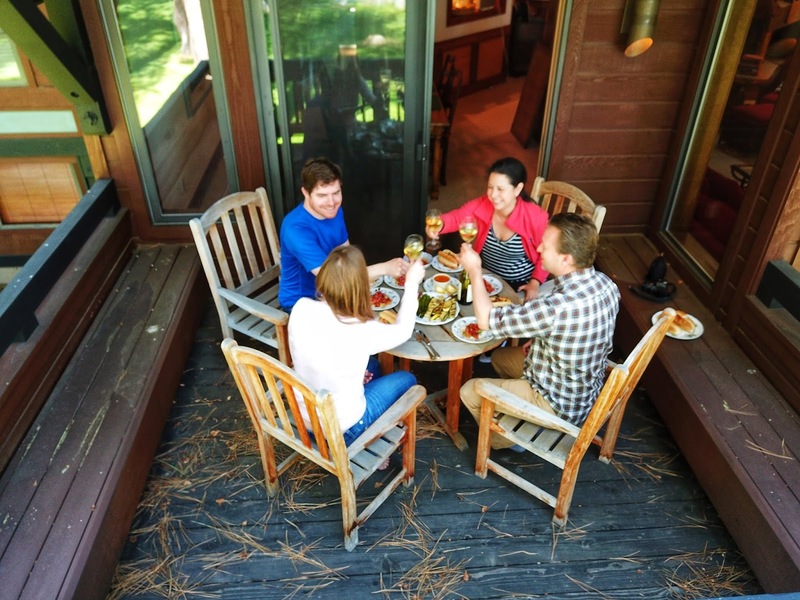 Looks like the perfect getaway to enjoy some great wines and food with friends. I enjoyed the video you posted too! Excellent pairings with your Soave! Great article. Thanks so much for leaving your comments and questions. I always love to hear from you!